KeyGene is proud on its contribution in this Stevia research project. BUENOS AIRES, Argentina, Oct. 19, 2017 /PRNewswire/ — For the first time, scientists have completed the sequencing of the stevia plant genome. Lead scientists from PureCircle Stevia Institute and KeyGene have unveiled this major breakthrough in research showing the annotated, high-quality genome sequences of three stevia cultivars. 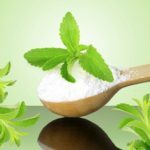 This achievement provides a better understanding of key enzyme groups used by the stevia plant to produce the steviol glycosides giving stevia its characteristic sweet taste. To enable acceleration of the traditional breeding of the stevia plant, researchers identified several million potentially new markers in the assembled genomes. PureCircle’s non-GMO agriculture program is strengthened by these cutting-edge findings. The research helps facilitate optimization of the levels of the best-tasting steviol glycosides, including improvements in the levels of the well-known minor glycosides, Reb D and Reb M.
The data has been integrated into CropPedia, a comprehensive bioinformatics platform developed by KeyGene for visualization and analytics of all available genomic, transcriptomic and metabolomic stevia datasets. CropPedia enables chemists, biochemists, geneticists and agronomists to better understand the steviol glycoside biosynthesis pathways, and to rapidly create improved stevia varieties using traditional breeding practices. Stevia is a plant-based, zero-calorie sweetener which has been approved by all major regulatory authorities globally for use in foods and beverages in over 150 countries. Optimized stevia ingredients developed as a result of this research will enable deeper reductions in sugar and calorie content of foods and beverages, as well as superior tasting products. This greatly benefits consumers around the world by helping them meet dietary guidelines calling for reductions in sugar and calorie intake for improved health. PureCircle Ltd. and The Coca-Cola Company co-funded this research.